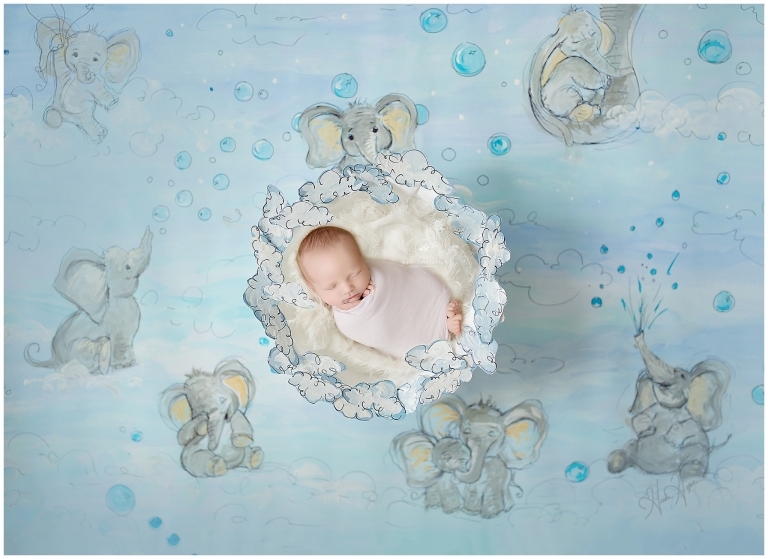 Welcome Mr. Ian’s infant photos to the blog! My goodness, what an absolutely sweet little baby he is! His momma and daddy are about the nicest people you can meet, I was so thrilled to be a part of this special time in their lives! Ian’s momma is an elephant handler at the Cleveland Zoo. Is this not the coolest job you have ever heard of?? So of course we HAD to do an elephant set. I hope this will fit perfectly into his elephant themed nursery! As fun as the colorful themed sets are, my heart really stays with the neutrals. How neat is this new prop from Libelle Props? Mr. Ian was so patient with me! The variety that we can get on the beanbag is hands down second to none. The simplicity of infant photos and all those details really shine here. My goodness, he was so delicious! Those cheeks and rolls are divine! Ian’s daddy was a big fan of this sleepy cap! How adorable is he? I do see a bit of red hair coming in, maybe he will be a redhead….my favorite! Oh that sweet profile! Friends, it’s all about those details for infant photos! They are only this little for a blink of an eye. You know how much I love a good bucket, right? No exception here! Loved all the angles from this set as well. A little swaddle with a touch of blue…so cozy, comfortable, and sweet! Oh those sweet little piggies! Baby toes are simply the best! Family silhouettes are a new must for me. I do them every session. It gives a bit of variety and a different look. Okay, okay, love this family! Have I said that yet? And for as sweet as they are, they are equally gorgeous! Thank you so much for stopping by the blog to check out Ian’s infant photos! Interested in seeing more? Check out some similar blog posts. Are you expecting soon and are looking for infant photos? I would LOVE to be your lady! Welcome Mr. Brady’s cake smash to the first birthday photographer blog! Oh this handsome little man! He totally stole my heart a year ago at his newborn session. He made me fall in love with him all over again at his first birthday photos! So happy! And all those rolls! So much baby goodness! Creating cake smash sets are one of my most favorite things to do for first birthdays! 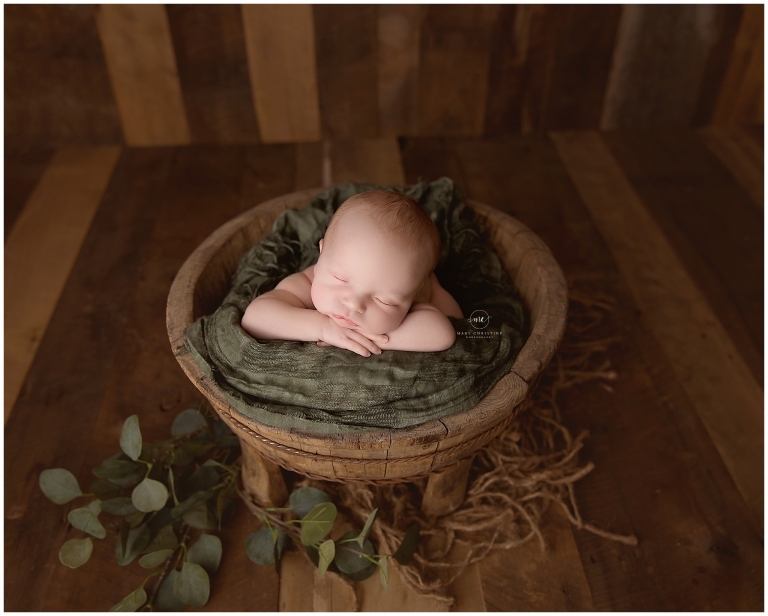 I love to create organic sets that are simple enough to keep the focus where they should be, right on the baby! After all, you only turn one once, it should be a special celebration! Thank you to all my clients who trust me to document this special time in their baby’s life! How about those arm rolls?? I think I told his parents about ten times how delicious he is! One of the most fun parts of your first birthday photography session is playing dress up, even for little boys! All outfits are provided, you get to pick your favorites! We change them as many times as baby and time will allow. How fun and easy is that? Brady was just so happy his entire session! SO many smiles to choose from! Couldn’t you just gobble him up?? Thank you so much for stopping by the blog! Are you looking for a first birthday photographer to document your baby’s milestone? I would be so honored to be yours! With spring and summer right around the corner, check out this outdoor cake smash from last year. Happy Tuesday, friends! Today on the blog is Debbie and Brett’s studio maternity session. Let me tell you, they are gorgeous and adorable. This baby is going to be super sweet, right? Now I know that everyone wants a maternity session outside. Don’t get me wrong, I get it! But sometimes northeast Ohio just does not cooperate with the weather. Enter studio maternity sessions. I personally think they are fun, gorgeous, and simple. No worrying about weather, mud, ice, and snow! We can do as many outfit changes as time allows and not walk all over the place. Plus, you get a comfy bed and dreamy lighting. It is a win win in my book! Can you believe Debbie is only about 6 weeks away from her due date? She makes it look so easy! A little dreamy backlight for the win! This is a must in my book for every studio maternity session. Isn’t she just radiant? Another must for studio maternity sessions? Silhouettes! You have to show that bump off! Glitter isn’t just for toddlers anymore. A little sparkle mixes it up in studio and is so fun! These two weren’t so sure on posing together, but I would say they nailed it. Couple maternity photos are always a favorite. After all, it is a special times just as much for dads as it is for expecting moms! I mean, come on guys. So adorable these two! I am so honored they allowed me the opportunity to photograph this special time in their lives! Thank you so much for stopping by the blog! Are you expecting a bundle of joy and considering a studio maternity session? I would love to be your photographer! All gowns are provided for your maternity session, all we need is you and your adorable bump! Well excuse me while I overload you today with Beatrice’s newborn photos. Actually, I am not sorry at all! This little peanut came in at almost nine pounds with red peach fuzz and the sweetest little face. Not to mention, she was a complete angel! So yes, you will get an overwhelming amount of photos today, friends! I first met Beatrice’s mom and dad for their maternity session back in December. I LOVE getting to know all these amazing people through photography. We had a great time then and picked right back up at the newborn session. I seriously have the most amazing clients! Baby B’s momma said she loves everything floral and girlie, so I took that and ran with it! Pinks, purple, and florals? Yes please! Sign me up! This knit set by Beautiful Ewe is my current favorite. Oh family photos! These are just as important as newborn photos! And how amazing is it that we were able to capture three generations in one photo? Certainly this will be a keepsake for generations to come! You guys, neutrals have a special place in my heart and you know I melt for red heads! So in love with this set! I had no used this bonnet in years but pulled it out for Beatrice. It reminds me of Anne Geddes, right? So whimsical and fun! There is always room for a little fun with newborn photos. Silhouettes are hands down my favorite family image from a newborn session. Every. Time. Look at that sweet little profile, hands, and toes! Swoon! Feeling a little spring with the set below. Winter will end eventually, right? I hope this session left you with a smile, just like Baby B! Seriously, how adorable is she? Thank you so much for stopping by the blog! I hope you enjoyed these newborn photos as much as I did taking them!